Like parades back home in the United States, the final parade group were horses and their riders. Many of the horses danced for us as a band played. 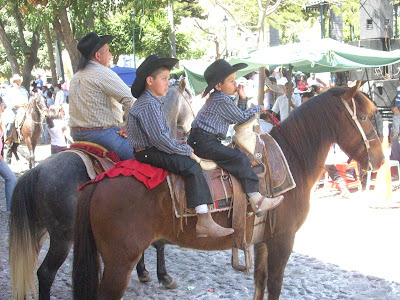 I could not miss the opportunity to photograph these young boys on their horse.